OLD PARKED CARS. 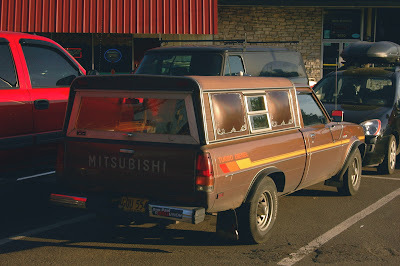 : 1983 Mitsubishi Mighty Max Turbo Diesel. 1983 Mitsubishi Mighty Max Turbo Diesel. Delightfully handsome. Something about this truck surviving so well makes me think that everything is going to be alright. Boatloads of character in a tiny package! Great to see those graphics over brown. this selection, this post, really distinguish the character of this blog in a good way. Here's a truck that is otherwise completely unremarkable and almost invisibly anonymous. You've managed to pluck this little gem out of the dusky reaches of obscurity to help us better recognize what's worth noticing. What makes this pic so great is the juxtaposition of this cool, little pickup and the bland, new behemoth. Well done! Bring back a decent, compact little pickup, auto industry! Look at the lame Silverado next to it! Well said, Getafix. Mighty Max. What a cool name! And equally cool graphics and color. 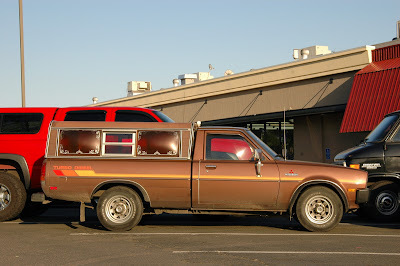 Those rounded, pop out windows on the camper top just scream 70s/80s. Nice! Ugh, that Silverado, what an overcompensation mobile. 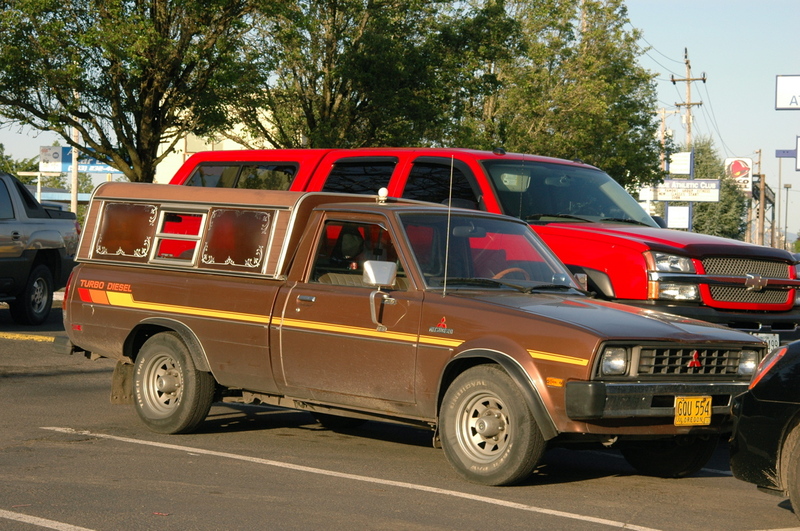 What an 80's minitruck. 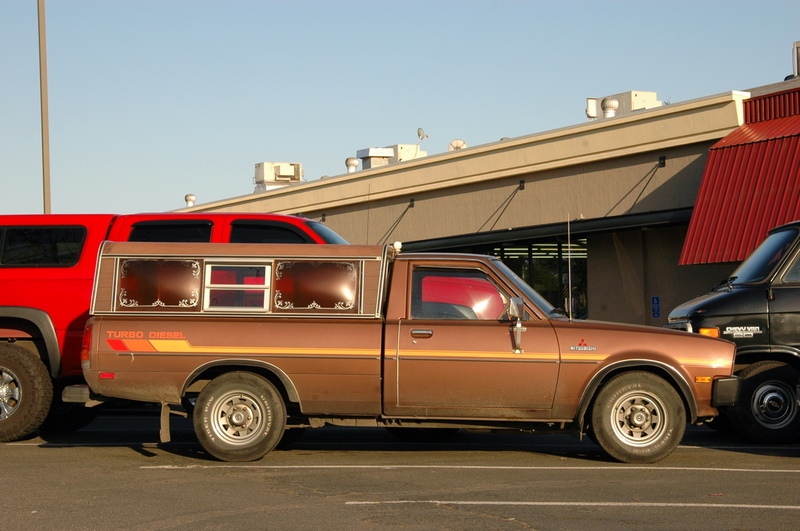 The graphics, wheels, paint and camper top ooze 80's. If they were givin' 'em away, I know which one I'd take.